When Will My Pullets Lay Their First Egg? 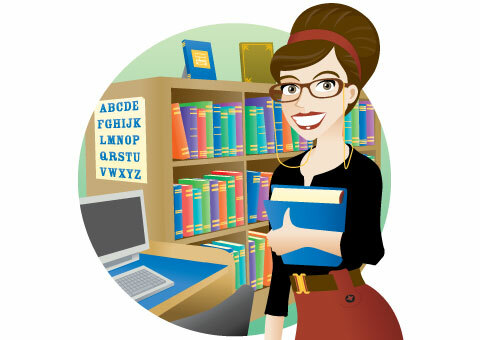 Home / Learning Centre / When Will My Pullets Lay Their First Egg? One of the most eggciting times for a first time chicken owner is that glorious moment when the pullets lay their first eggs! Often this moment will be a joyous surprise, while for some owners, the longer it takes the more anxious they become – “is something wrong with the chicken”, “are they sick”, “do they need to spend more time in the nesting boxes”, “am I feeding them the wrong food”? Most of the time these questions only create unnecessary nerves and frustration, when what your flock needs most is patience and support. As you wait for your chickens to lay their first egg you need to be a composed, calm and caring, not nervous, anxious and overbearing. Here are some of the best things you can do for your pullets as they get ready to lay their first eggs. When do chickens normally start laying? Generally speaking most chickens will start laying between 18 to 24 weeks. This being said, some breeds who are not famous for being productive layers can take as long as a year to produce their first tasty egg. Finding out the age and breed of your pullets is a really practical way to keep track of you eggspectations during these first few months, as you’ll be able to monitor their progress and see if anything is out of the ordinary. How do you create the right laying conditions for your flock? There are a lot of factors that influence your flock’s likelihood of becoming energetic and productive little layers. 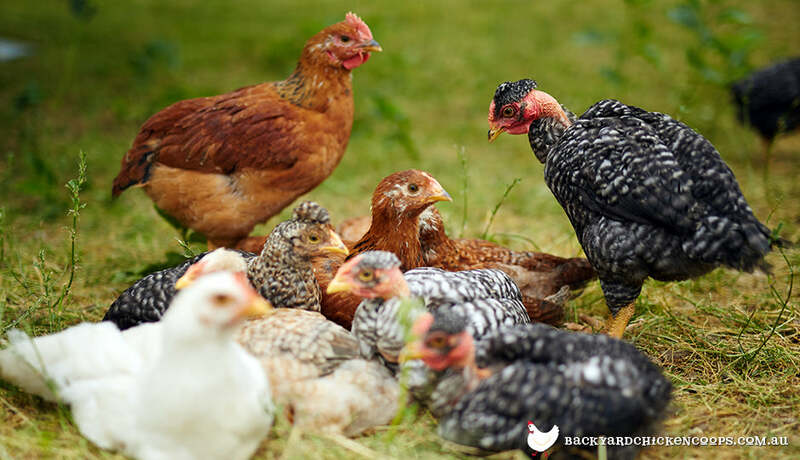 Making sure you meet all of your chooks basic needs, in terms of food, water and shelter, as well as creating a peaceful and serene environment, will ultimately result in your chickens feeling healthy and relaxed enough to lay. Humans have literally been caring for chickens for thousands of years. Chickens are vulnerable in the wild and they rely upon humans to create safe coops for them in exchange for their delicious eggs - it's an unofficial ancient contract. As someone who cares for chickens it is your duty to ensure that your girls have a nice safe spot to lay, like the Taj Mahal, Penthouse or Mansion coops, which will keep them safe from the elements and whatever predators might be lurking out there. The general rule of thumb is that each nesting box can accommodate 3 to 4 chickens – not at the same time of course! Nesting boxes also need to be warm, cosy and quiet, which will help your ladies feel safe and secure, while they try to stay focused and lay their first few eggs. One of the most important factors is daylight. Chickens need at least 10-14 hours of daylight for their bodies to produce any eggs. This is why most chickens stop laying during those cold and dark winter months. However, if your pullets are not let out of their coop, then they will also cease laying, even if it is sunny and warm outside. That’s why coop accessories like the Auto Door are so important, especially if you’re the type of chicken owner who finds it hard to get out of bed. As the old saying goes, “you are what you eat – but you’re also what you eat eats”. Pullets leading up to the point of lay need extra protein in their diet, as their bodies are not only getting ready to lay eggs, they are also still doing heaps of growing! All the basic still apply though: extra protein, calcium, vitamins and minerals. Diversifying their diet with some healthy treats is a smart way to ensure they are getting some variety. It all basically boils down to making your flock feel safe, loved and protected. If you’re girls are nervous about predators or unsure of where their next meal is going to come from, then they are less likely to feel compelled to lay. What are some of the signs of a chicken getting ready to lay? Look carefully at the combs and wattles of your pullets around the time they are 18 weeks old. Generally speaking your girls’ wattles and combs will turn red and swell as their bodies prepare to lay eggs. It may seem a bit strange but think all of these weird and unusual things the human body does as it goes through puberty. Some chickens will begin to inspect the nesting boxes around the time they are getting ready to lay. They’ll wander around, rummage the hemp bedding and just stick their beak in and it all out. 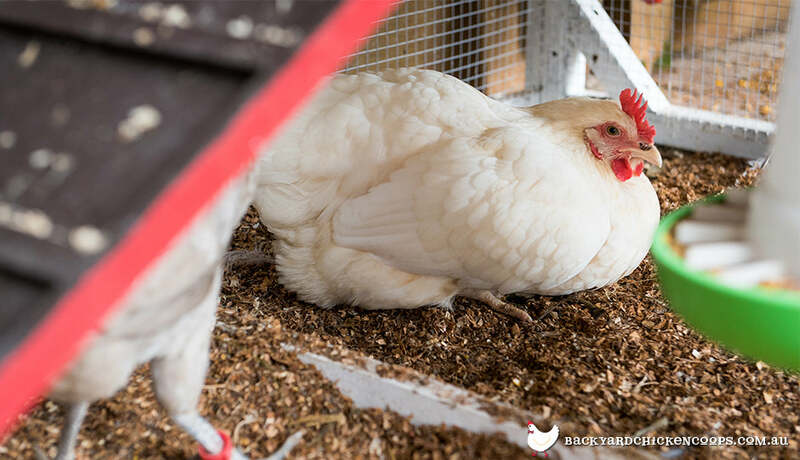 Some might even practice sitting in the nesting box, which can cause any chicken lover a great deal of excitement! This being said, even if your girls are checking out the nesting boxes, they may still be a few days or weeks away from laying. When a chooks body is well a truly ready to lay you’ll see your girls doing a strange little squat in the backyard. This bizarre gesture is a subtle and flirtatious indication to a rooster that they are fully matured and ready for some funny business. You’ll find that your hens will still do this funky little squat even if there are no roosters around. It is also a tell-tale sign that your pullet are going to lay an egg at any moment! Once you see your pullets doing their squats you can rest assured that there are eggs on the way! These are the three most typical signs that a chicken is getting ready to lay however most Chicken Ladies have a deep connection with their flock and are able of intuitively sense when their girls are ready to produce their first eggs. At the end of the day though, your flock needs to be happy, safe and healthy, otherwise their laying days might not last very long. Ensuring that your girls have a beautiful coop they can be proud to live in, like the Taj Mahal, Penthouse and Mansion, is a sure fire way to promote productive laying conditions. If your chickens aren’t laying and you don’t know why, look no further than this handy article here.